The Kikui Stainless Cobalt Offset Shear is made from an alloy with at least 5% cobalt . It provides a superior cut , with the same weight and feel as our premium line, at a more afford- able price. Each shear is hand crafted by our master smiths, and comes in level and offset styles. The Kikui Stainless Cobalt Level-set Shear is made from an alloy with at least 5% cobalt . It provides a superior cut , with the same weight and feel as our premium line, at a more afford- able price. 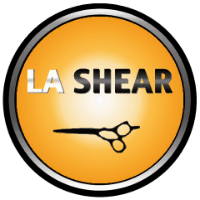 Each shear is hand crafted by our master smiths, and comes in level and offset styles.